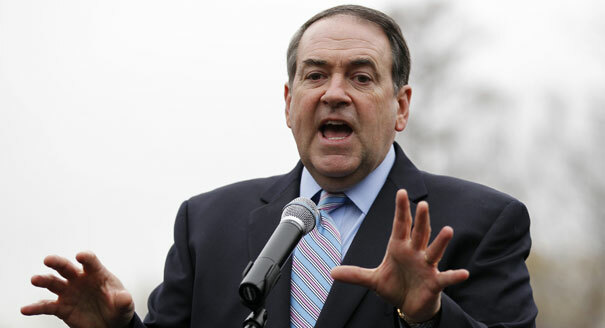 Following the release of a 2005 tape in which Donald Trump bragged about how he could sexually assault women thanks to his celebrity status, several Republican politicians have announced that instead of voting for Trump they will write in his running mate, Indiana Gov. Mike Pence, on Election Day. Others have even gone so far as to call on Pence to replace Trump at the top of the ticket. 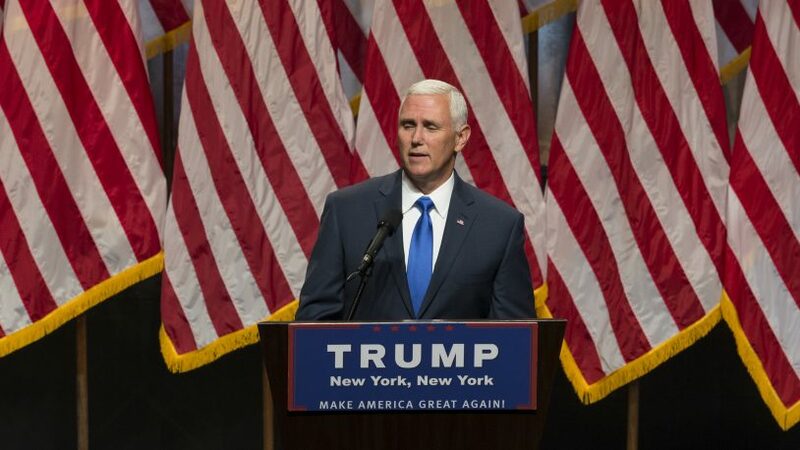 While Trump has pledged to stay in the race, the attempt to paint Pence as an acceptable alternative to Trump belies the fact that Pence is anything but mainstream. His record as a congressman and governor shows that he is deeply committed to the anti-choice cause. Indiana’s abortion laws are so restrictive that one woman was incarcerated for what prosecutors said was a self-induced abortion. “The days of public funding for Planned Parenthood are over when a Trump-Pence administration arrives in Washington, D.C.,” he said in a speech to the Values Voter Summit last month. During his 2000 run for Congress, Pence came up with a proposal to divert funds from organizations working to prevent the spread of HIV/AIDS to groups involved in discredited ex-gay therapy. Congress should oppose any effort to recognize homosexual’s as a “discreet and insular minority” entitled to the protection of anti-discrimination laws similar to those extended to women and ethnic minorities. 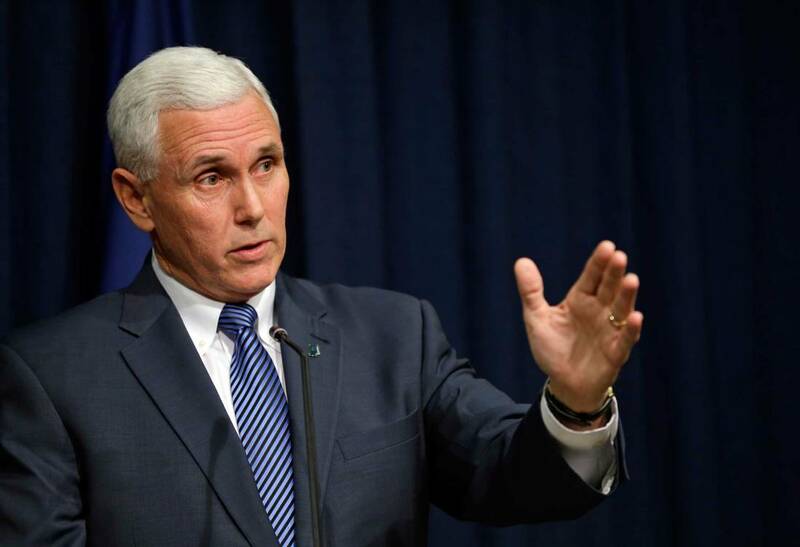 The fact-checking group PolitiFact “found no evidence Pence has walked back his stance on public funding for conversion therapy.” Indeed, the Republican National Committee adopted a plank opposing laws that try to limit unsafe and discredited sexual orientation conversion therapies as part of its party platform this year. While Pence never achieved his plan of transferring money meant for HIV groups to ex-gay therapists, as governor he did slash funding for public health programs, continued attacks against Planned Parenthood, which provides testing services, and was a staunch opponent of needle exchange programs. In recent years, an HIV epidemic emerged in Scott County, Indiana, mostly stemming from intravenous drug use. A Planned Parenthood clinic in the county, the county’s only HIV testing center, closed in 2013 when the state drastically cut funding to the group, even though that particular clinic didn’t offer abortion services. Pence was a leading voice in the movement to defund Planned Parenthood. Back in 1996, Pence criticized the Republican National Convention in San Diego for including “AIDS activists” as speakers, suggesting that their inclusion was a slap in the face to “pro-family conservatives.” The “AIDS activists” in question were Mary Fisher, an HIV-positive woman who was a former staffer for President Ford and had led the National Commission on AIDS, and Hydeia Broadbent, an HIV-positive minor. One month after Arizona’s governor vetoed a measure that would have permitted businesses to deny services to LGBT customers, Pence signed a similar bill in Indiana, calling it “a measure that frankly, Indiana should have enacted many years ago.” He only signed a revised version of the law after a national outcry against it. In the 1990s, as an editor of a conservative journal, he published works on “gaydom” and phony ties between homosexuality and pedophilia. 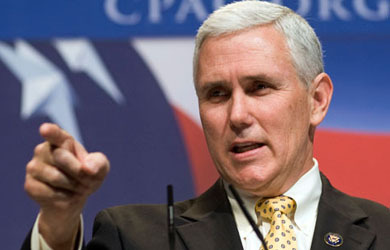 In 2000, Pence said he wanted to scrap Don’t Ask Don’t Tell and replace it with a sweeping ban on gay service members, saying that he supported “bringing an end to the ‘don’t ask/don’t tell’ policy of permitting homosexuals to serve in the armed forces.” “Homosexuality is incompatible with military service because the presence of homosexuals in the ranks weakens unit cohesion,” he said. 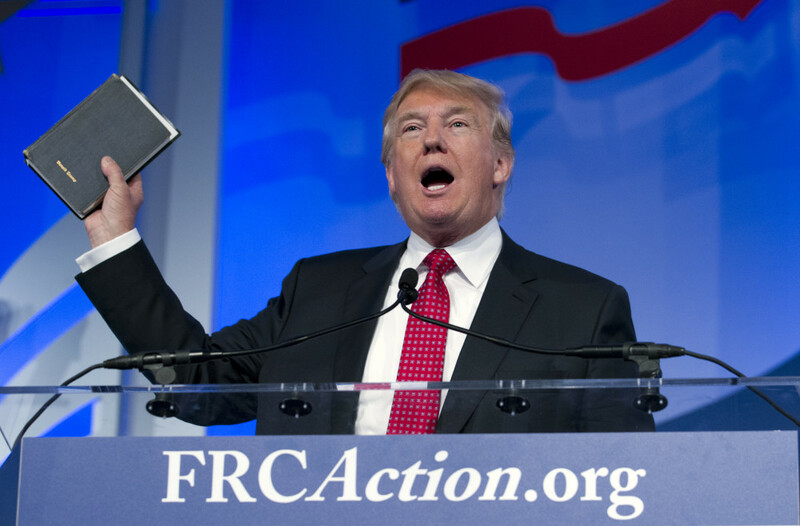 Trump has made opposition to the resettlement of Syrian refugees a key fixture of his campaign, suggesting that they are terrorists and vowing to deport legally settled refugees. As governor, Pence tried to prevent Syrian refugees from settling in Indiana, “forcing the local Indianapolis resettlement agency to scramble to look for another placement” for one family from Syria. “How could that be the freedoms that we hear about?” the family’s father commented. Pence suggested that such refugees might be terrorists and tried to prevent refugee agencies working in the state from receiving federal aid. He is also a climate science denialist, stating that “global warming is a myth” and opposing regulations on greenhouse gas emissions. Pence must have appreciated Trump’s call to “open up the libel laws” against journalists, as the Indiana governor has already taken the conservative movement’s contempt against the media to a whole new level by attempting to create a state-run news agency. Pence eventually abandoned the plan after it was widely mocked as an attempt to create a Pravda-style propaganda outlet.